This is the COMPLETE factory Service Repair Manual for the Epson Stylus Pro 7400 / Pro 7800 / Pro 9400 / Pro 9800 Large Format Color Inkjet Printer. 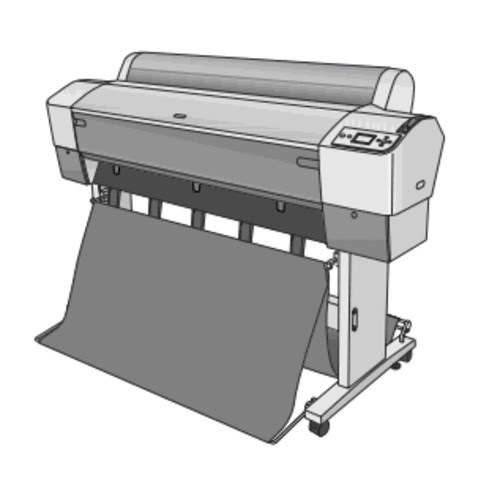 This Service Manual has easy-to-read text sections with top quality diagrams and instructions as well as step-by-step instructions for repairing your EPSON machine. it makes it easy for you to learn technical theory, installation, maintenance, troubleshooting, disassembly, assembly and repair of EPSON products. This manual is in PDF format, The Service Manual PDF is Fully Indexed and Bookmarked by Topic. This is an original Adobe document which equals Perfect Quality and Perfect Printing. The PDF can be searched quickly to find what you need to know in every Chapter. You can print the Entire manual or ANY Pages you want to select. You can also Zoom in on any Diagram or Picture to easily SEE EVERY PART. Save time and money by doing your own repairs! This manual makes any repair job easy to do with very easy to follow step-by-step instructions & pictures on all areas of repair. ALL Service Repair Manual are INSTANT DOWNLOAD, it means no shipping cost or waiting for a CD or paper manual to arrive in the mail. you will receive this manual today via instant download on completion of payment via our secure payment processor. We accept all major credit/debit cards and paypal.